In the not-so-distant past, humans were mere cogs in a production wheel. All an employer wanted and needed to increase employee productivity was a little boost from technology, the equivalent to attaching a super-charged battery to the back of each employee. It was a simple formula: more productivity meant more products could be made cheaper. Cheaper products meant increased consumer demand. Increased consumer demand meant more employees were hired. And as long as the employee followed the rules and didn’t ask questions, everyone was happy. How the times have changed. Today, employers need workers who are agile, adept and have a passionate desire to learn and grow. With the accelerating changes occurring in the workplace, the critical skills workers need today may become irrelevant tomorrow. Everyone needs to be evolving, growing and adapting. Greater thinking capacity isn’t just desirable; it’s essential. It’s the one resource most organizations can’t hire enough of in its employees. The shift from brawn power to brain power requires a massive realignment in mindset, both for employers and employees. Today’s leaders need a new blueprint for the critical skills not only that they need, but that their employees need as well. I’ve identified six essential skills that workers will need in the coming decades. In a world of exponential change characterized by uncertainty, complexity and ambiguity, curiosity may be among the top critical skills workers need to survive and thrive. Curiosity is much more than a strong desire to know or learn something. To become a valued skill, curiosity requires a willingness to explore new experiences, take risks, and the desire and ability to reflect on those experiences. This is a word that is commonly bounced around in today’s workplace. Some leaders praise it as a cure for our future; others claim it to be a massive distraction and threat. However, in the context of job skills, creativity is crucial. Someone’s ability to generate new ideas and turn them into solutions, to see the world in a new way and to connect the dots in ways that others have missed, is essential in today’s rapidly changing business world. A staggering amount of research links conscientiousness with success, regardless of the employee’s role or the employer’s industry. Someone who is conscientious is dependable, responsible, organized, and proactive. S/he arrives on time, stays late, meets deadlines, exercises self-control, and manages him/herself well. But is conscientiousness a skill or a trait? Can you increase or improve it? Can you train people to be more conscientious? The truth is, conscientiousness is probably a combination of genetic hard-wiring, environmental influences, skill-training, and motivation. This means that many employers will not only need to find employees who have this trait but that employers will need to nurture and grow it within workers as well. When brawn was valued over brain, workers were asked to check their critical thinking at the door. Now employees’ critical thinking is not only desirable, it is essential. Workers need the ability to analyze, evaluate and create. They’re expected to carry out a growing list of responsibilities and meet higher expectations with fewer resources. This requires them to think analytically and apply the results without (necessarily) supervision or experience. 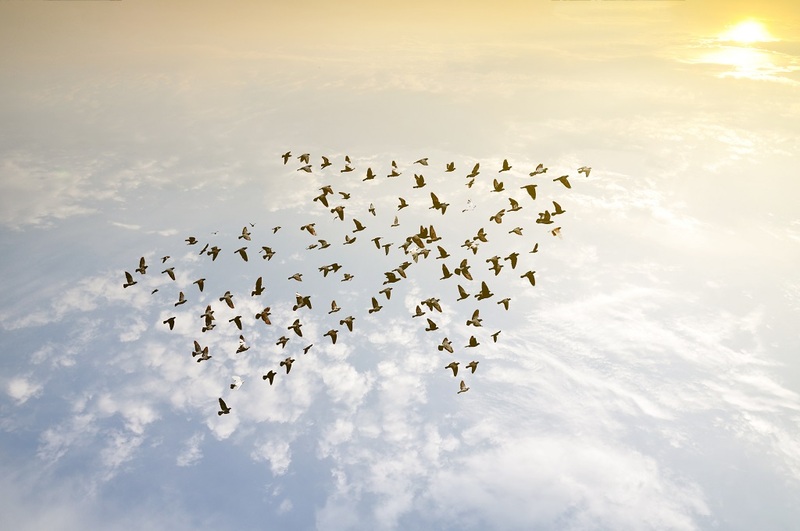 Organizations are shifting from a hierarchical, top-down structure to a network of teams. What’s more, thanks to technology, the Internet, globalization and mobility, employees may be working with team members they’ve never even met. In the ever-changing, complex environment of today’s workplace, employees will be valued who are skilled collaborators, able to communicate using multiple platforms, keep up with the flow of information, and accept the responsibility that comes with collaboration in both physical and virtual spaces. Agility is the ability to keep pace, shift gears often and quickly, and keep current with the flow of information. Workers need to move nimbly and draw conclusions quickly. This requires both high personal energy and fast cognitive abilities in order to perform well in many jobs and functions. The more aggressive, dynamic and growth-driven an organization is, the more agility matters in its employees. If companies are going to hire and maintain quality employees in this world of changing demands, they are going to need to recognize the need for certain skills in their workers. It is vital for employers not only to adapt their own skill sets but to identify employees who possess the new desirable qualities as well. Ira S. Wolfe is a nationally recognized thought leader in talent management and an expert in pre-employment assessment testing, workforce trends, and social media. Wolfe is president of Success Performance Solutions (www.succcessperformancesolutions.com), a pre-employment and leadership testing firm he founded in 1996. He is the author of several books, including Recruiting in the Age of Googlization. He can be reached at iwolfe@super-solutions.com.